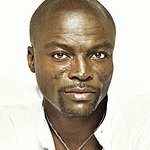 Seal and Paul Anka will headline David Foster's star-studded charity gala on Saturday in Edmonton, Canada. The concert aims to raise at least $4 million for Canadian families with children in need of major organ transplants, with attendees paying between $15,000 and $50,000 for a table of 10 people. Foster has a long history of charitable efforts to help children. In 1997 he was honored with the United States Children’s Choice Award for his work supporting research into children’s cancer, leukemia, and AIDS. In 1986, he established the David Foster Foundation, a non-profit organization that provides financial and emotional help to the families of children needing organ transplants. In 2006, Foster auctioned a piano signed by over 60 celebrities to raise money for his foundation. Saturday’s concert will take place at the prestigious Winspear Centre For Music in downtown Edmonton. It follows a similar gala held in Calgary in 2007 that raised $3.3 million for the cause and featured Lionel Richie, Peter Cetera and Sinbad.